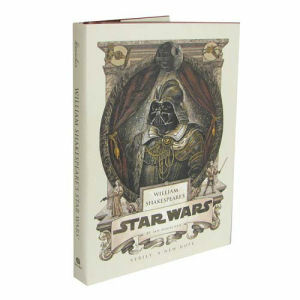 We have Just Sold out of Star Wars William Shakespeares Star Wars A New Hope Hardcover Book. This Item is unavailable at present. From the Star Wars collection by Penguin Random House. Star Wars William Shakespeares Star Wars A New Hope Hardcover Book. Book has 176 pages and measures 8.3 inches tall by 5.6 inches wide.